The first guest for our new feature “Nippon Hip Hop Nation” Special Interview series is a good friend of mine, Miss Hitoe of SPEED. Hitoe Arakaki ,is the oldest member of the Japanese pop girl group SPEED, which disbanded in 2000 and reformed in 2009. Their first album since their reunion, 4 Colors, will be released on November 14, 2012. 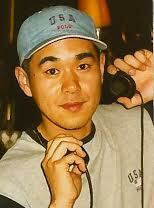 Arakaki was born in Okinawa, Japan, and is also known by her first name, Hitoe. Her trademarks are her enthusiastic dancing as well as her wild and eccentric hairstyles. 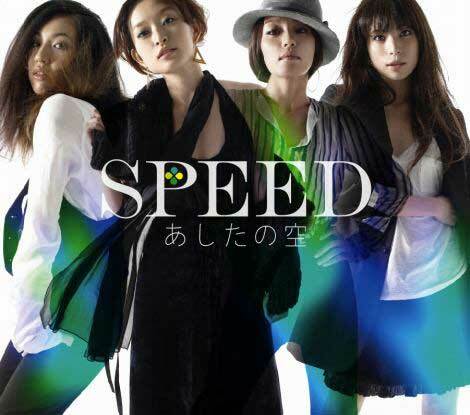 Speed made their major label debut on August 5, 1996 and became an immediate success. 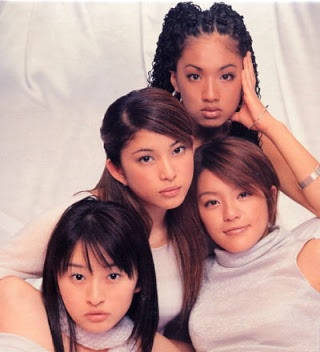 Their debut album Starting Over became their first number one album on Japan’s Oricon weekly charts. They would eventually become the most successful girl group in Asia with sales of over 20 million singles and albums in just three years and eight months. The members disbanded on March 31, 2000 to pursue solo careers and to study. In 1999, Hitoe released her first solo single, “Inori”, which reached number two on the Oricon charts. On December 2002, she released her second single “I Got You” and the album I’ll Do It My Way. Besides “Inori,” she co-wrote all the tracks on the album. In February 2003, she released her third single, “I’ll Do It My Way”. Hitoe is also an accomplished graphic artist, and following Speed’s breakup, she moved to New York City to attend art school. She is known for her distinctive graffiti styled paintings often depicting African-American life style. She has published an art book called “Vibe Art” and has held private exhibitions in Tokyo and New York. Her work has also been featured on the covers of various American Hip Hop compilation CDs. Hitoe also became active in yoga and is a licensed yoga instructor in Japan. In June 2007, she published a book and DVD of yoga lessons. Hitoe is currently teaching yoga in Shibuya, Japan’s Star Light Studio. This entry was posted in Hitoe-Speed, Nippon Hip Hop Nation, Uncategorized and tagged 4 Colors, american life style, arts, Harlem, Hip Hop, Hitoe, Japan, New York, Nippon, Okinawa, Oricon, R&B, Rise, SPEED, Starting Over. Bookmark the permalink.